Last week, a group of AUT postgraduate research students travelled to Vaughan Park in Long Bay for three-and-a-half days of blissful, undisturbed writing. They checked into the Vaughan Park Retreat, enjoyed delicious catered meals, and relaxed in the peaceful surrounds of Long Bay Beach and regional park. They also received support from expert facilitators Associate Professor Jennie Billot of the Graduate Research School, and Dr. David Parker of Learning Support Services. 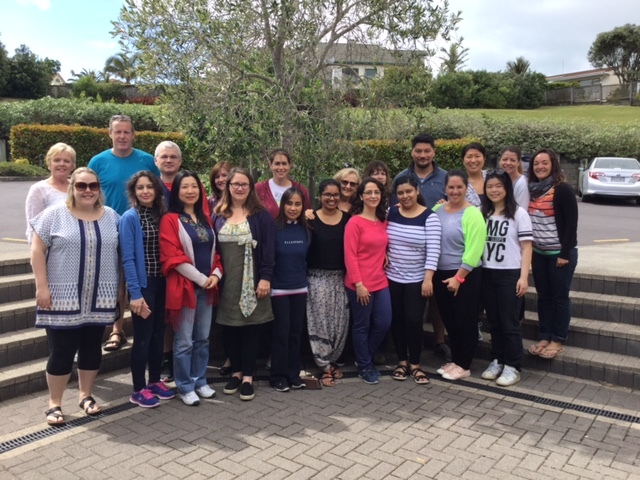 The Graduate Research School will host retreats again in April and November next year, so if you would like to attend one, be sure to keep an eye on the Postgraduate Events page and submit an application.